Charter schools do not represent a desire to force capitalism further into the public school equation or a lack of desire to reform public schools that already exist. They represent the very real need to educate and do justice to the students that are in school right now. In light of the widespread and consistent underperformance of children attending public school in low-income districts, reconstruction of the system is clearly necessary. However, immediate action and recourse for students in underperforming schools must come in the form of charter schools given the time-consuming nature of changing a national system. Subpar public education for any child at any time is shameful in the country with the largest GDP on earth. Given the lack of a forthcoming cure-all to failing schools in the form of sweeping legislature, we should let the casualty of this deficiency be the public school system itself. We should try to do right by the students who so need good schooling at this very moment by creating a platform for successful charter schools. The availability of a decent public education to every child in the United States regardless of race, social class, or location is undoubtedly a fundamental right that any American would presume to have. Public education exists to the advantage of all members of society, in the sense that a homogeneously well-educated populace creates a superior country that is better able to give back to each individual. Given these truths, when it becomes exceedingly clear that the best public schools exist in the wealthiest communities while those that consistently do not meet standards languish in poor, crime-ridden areas, why have we as a country not stepped up to the task of delivering this supposedly foundational liberty? Poverty is a cyclical tragedy in our country; families where members struggle to graduate from high school or find jobs that pay reasonably are further disadvantaged by how expensive American daycare and health insurance can be. It follows that underfunded public schools in such economically struggling neighborhoods lack the ability to improve as well, given that most of the public school funding is derived from local income tax. Many communities suffer from drop-outs and crime, and the schools themselves are unable to foster environments that encourage achievement. When places like that lack the donations that fill the coffers of public schools in rich areas and there is no government initiative to level the quality of schools nationally, these public schools unsurprisingly continue to fail their students— a sector of the population hurting more dearly for a good education than their wealthier peers. There is an idea in the US today that the public school system as a whole is seriously declining and all education is losing quality. This is simply not the case, and the misconception generalizes the very specific, systemic issue of school inadequacy in impoverished neighborhoods and therefore distracts from where improvement efforts should be concentrated. In an opinion republished by the Washington Post, David Berliner, the former president of both the American Educational Research Association and the Division of Educational Psychology of the American Psychological Association, elaborates on the idea that school failure is location specific. He says that “in every standardized achievement test whose scores we use to judge the quality of the education received by our children, family income strongly and significantly influences the mean scores obtained.” The students being left behind are the have-nots—those that the government is meant to protect and support through the less well-endowed situations on their births, but instead are ill-represented– and so year after year, legislation for education reform dies at every level of government. The contrast between the success of public schools in wealthy and poor communities can be seen nationwide and is starkly exampled in the state of Connecticut, one of the richest places in the US. For the 2014-15 schools year, Greenwich, a classically affluent area, spent an average of almost $22,000 per student in public schools, while Bridgeport, a historically poor area, spent less than $14,000. While opponents of public school reform tend to argue that increased spending per student does not make a notable difference because it does not change the home environment or individual dedication, studies show that increasing money spent on low-income students significantly boosts their achievement in school. The Atlantic contends that “Lower spending can irreparably damage a child’s future, especially for kids from poor families.” As follows, I do not suggest an attack on the public school system itself so much as a long-overdue response to the plight of low-income students within our education system. Enter charter schools: a relatively new player in the public education game that has incited controversy in the past few decades, but also tales of success. According to the National Center for Education Statistics, “a public charter school is a publicly funded school that is typically governed by a group or organization under a legislative contract (or charter) with the state, district, or other entity.” The school is not under the jurisdiction of certain local laws, but in return for this autonomy, the school is accountable for all rules outlined in the charter with a review every few years to ensure accountability. Charter schools could be an excellent national response in areas with underfunded school districts. Cities like New Orleans and Detroit, where there are sprawling problems with the education systems, have had over half of their student population switch to charter schools, 91% and 55%, relatively. The idea is that if students in a given public school district are consistently not meeting education standards and drop-out rates are high, a charter school could be introduced in that area. Charter schools are mandated to take literally any student who applies, while public schools are only required to take students within their specific district. This system, while seemingly fair since public schools are location-based, ensures that students in poorer areas will never have the opportunity to attend higher-caliber schools in richer neighborhoods. Therefore, external support and an entirely new teaching system and ideology could hopefully succeed where the old, stale school did not. The city of New Orleans has experienced great success with their charter school system in recent years, but it was only after a long time of finding out what sort of systems do not work. Leslie Jacobs, a New Orleans school board member and one of the biggest advocates for the charter school system there explained how their system is currently working because their schools are held to a strict system of extreme accountability, where schools that do not meet their high standards are closed immediately, which keeps the various groups holding the charters on their toes. New York City has also been positively impacted by their charter schools, with a study from Temple University detailing how the competition between public and charter schools actually improve the teaching and results of both. Unsurprisingly, parents want their children in the best school possible, and will, therefore, eschew unimpressive charter schools or conversely apply to well-reviewed charter schools in order to escape an underfunded public school. Funds follow students and the schools cannot succeed without enough students in the first place, so they are forced to compete by increasing quality. Accountability to the local government in terms of quality of education is clearly a strategy that works, given how it renders the motivation to do good for society less important and places the incentive to keep the school open and therefore continue to benefit the institution that gained the charter at the forefront. 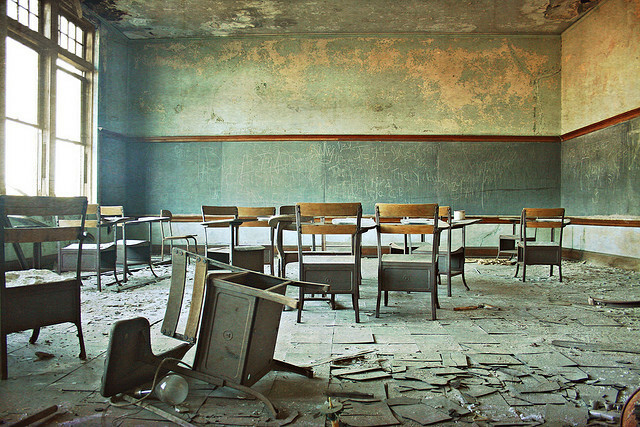 However, a cautionary tale of charter school system disaster is evident in the city of Detroit. Kate Zernike for the New York Times details how an excess of schools, both public and charter, in the greater Detroit area have created a scramble to fill seats and the systemic failure of almost every new charter school due to underfunding. Competition for students has resulted in strange incentives to show up to school on “count days” paired with low retention rate in both students and teachers that correlates with inconsistent education and an unstable school environment. Compared with the positive effects of competition in the NYC school system mentioned earlier, Detroit is an excellent example of how a lack of regulations on these institutions can cause the whole system to sour. About 15% of charter schools nationwide are for-profit, compared to 80% in Detroit. There is undoubtedly a strong correlation between that statistic and the quantity of failed schools in the city. When organizations directly economically benefit from running a charter school, many groups who would otherwise have no interest decide to jump on the trend. There are very few barriers to entry, so severely under-qualified or incorrectly motivated charters are allowed to spring up— especially in Michigan, which does not prohibit for-profit charter schools. Such policies open a loophole for corporations with no prior relation to education to blindly charter schools for monetary gain. Gary Miron, a professor at Western Michigan University, asserts that in addition, these for-profit institutions suffer from being run from far across the country, as the school only exists to make money so companies do not care to be directly involved. This also results in unusual quantities of school closures. In early 2017, the state of Michigan announced that “more than a third of Detroit’s public schools could be shuttered within the next two years.” Up to 24 out of the 119 city schools were up for closure before the summer of 2017, with 25 more in jeopardy if student achievement did not increase. For comparison, Michigan has historically rarely closed schools. Transforming failing public schools nationwide into vibrant learning communities requires copious amounts of time and money. Not only does legislation move slowly through the government, whole communities essentially must evolve alongside their schools– underfunded, problematic districts are symptoms of the communities in which they are located. This suggests that in America, when a certain population struggles to generate revenue and the value of their land is low, we leave their children to languish in the same conundrum as the generations that preceded them instead of helping them out. Such is the path to the growing inequality in America; quiet, pervasive, and rotten to the core. We need to stop this, and we need to stop putting it off. While in the long run it would be ideal to have a unified system of successful public schools in the US, creating that network without the implementation of charter schools in the meantime would be at the cost of the education, careers, and success of millions of American students. Posted in United States and tagged charter schools, Detroit, education, inequality, poverty, public school, US. Bookmark the permalink. It is very nice information that your blog is providing to us, very good work is being done by you. I want to aware you towards the scholarship program named as “Albertson & Davidson, LLP College Scholarship”. The scholarship is open to individuals who are currently attending or are planning on attending an accredited United States college or university.